Commenting on the launch incident, the NASA astronaut said the situation "went from ‘normal’ to ‘something went wrong’ pretty quick"
NEW YORK, October 17. /TASS/. In a NASA interview on Tuesday, astronaut Nick Hague shared his memories of last week’s failed launch of the Soyuz spacecraft and noted the experience of his Russian crewmate Alexei Ovchinin. 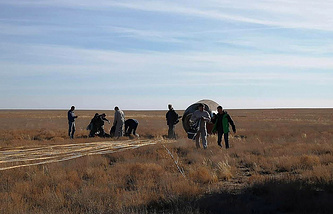 On October 11, Hague and Ovchinin were scheduled to join the International Space Station’s crew, but their mission was aborted due to a malfunction in the booster of the Soyuz MS-10 rocket. "Everything was new for me, it was my first time, so I have to give kudos to my commander Alexey Ovchinin. He is a seasoned, veteran cosmonaut. As we were going through all of this, he was able to tell me what’s normal, what’s not normal," Hague said. Commenting on the launch incident, the NASA astronaut said the situation "went from ‘normal’ to ‘something went wrong’ pretty quick." "The automated system pulled us away from the rocket so fast, and so the first thing I’ve really noticed was being shaken fairly violently side to side," he continued. "And then there was an alarm inside the capsule, and the light that was up there… I knew, once I saw that light, that we have an emergency with the booster and we are not going to make it to orbit that day." "Luckily, we did not have the six to seven g’s for very long, only a handful of seconds, and then things went back to normal," the astronaut said. "I was looking outside and trying to give it my best estimate of where we were going to come down. And, luckily for us, it was smooth, flat terrain and it ended up as a pretty smooth landing." He said that despite the difficult circumstances, he and his Russian counterpart did not lose the sense of humor after the landing. "We looked at each other, we had grins from ears to ears. You can imagine the scene: we’re in the capsule, we are kind of hanging upside down from our straps because of the orientation of the capsule, and we look at each other. Big grins, he holds out a hand, I shake his hand and then we start cracking out a few jokes between us about how short our flight was," Hague said. 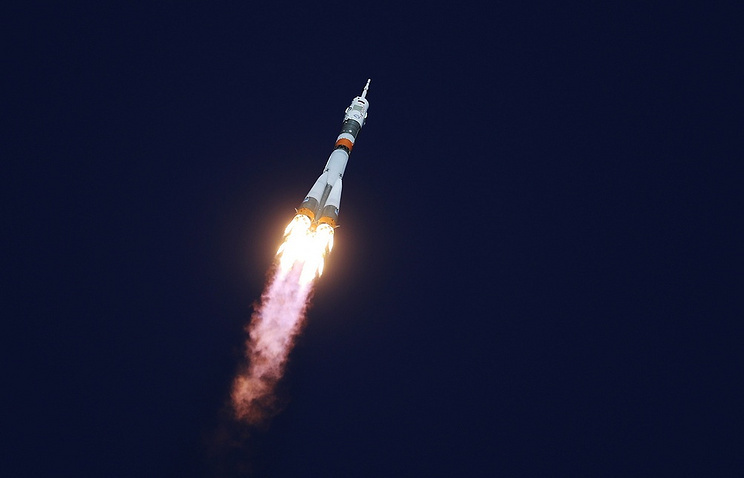 Starting from the 1960s there have been more than 160 unmanned and manned launches of the Soyuz spacecraft, and only three emergencies. The previous emergency situation took place 35 years ago.